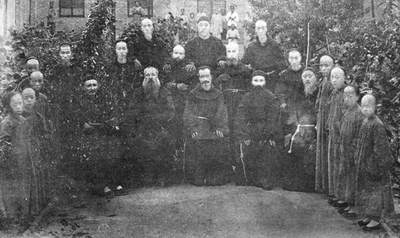 "First Franciscan Community at Dongergou Convent"
First Franciscan community at Dongergou Convent w/ Fr. Saccani, OFM. Dongergou, Shanxi, China. B/W Photo.